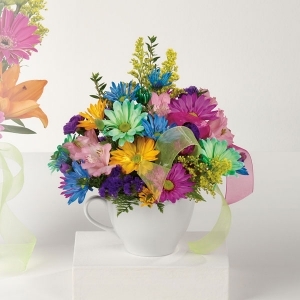 Sweet and simple daisies of all colors accented with alstroemeria and spray carnations. Lots of color, lots of fun! Mug may vary in shape and/or color.